I’m back again with another Challenge card! I am lovin’ these challenges; so much fun, and they’re pushing my creative energy. This card is for the Wacky Watercooler Challenge; you may recognize the name, because I’m part of the Wacky Watercooler gang that does blog hops at least once a month. The hops are always tons of fun to do, and we have a lot of regular participants. The challenges were originally created by one of our gang, Terri Antinow – you can see her blog HERE. Terri is taking a bit of a break from SU! right now, so Heidi, who coordinates our blog hops, has taken over the challenges. 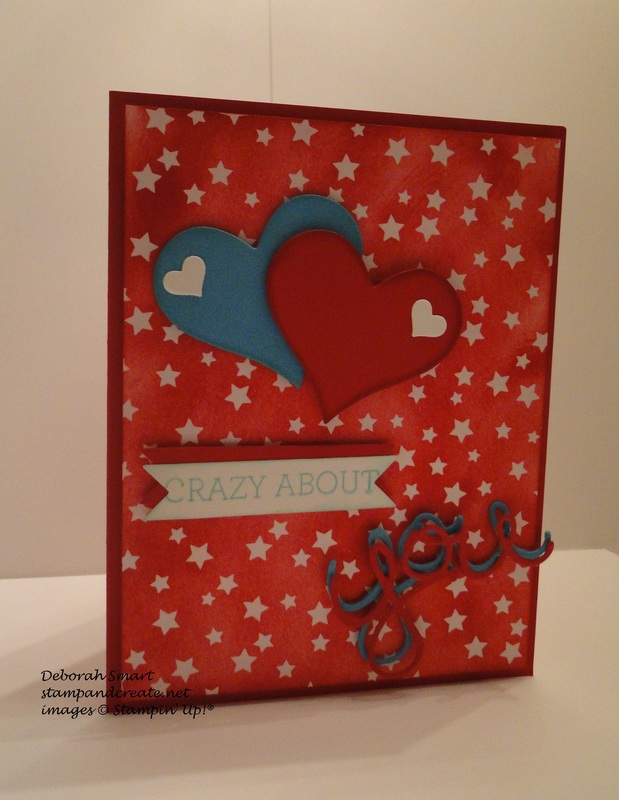 Heidi’s amazing blog can be seen HERE – I always love to check out her new creations. So – you can see how you can take a Stampin’ Up! stamp set or two, and use them for purposes other than their original intention – in a good way, of course! This time of the year is perfect for getting those sets that you’ve been putting off purchasing – because it’s Sale-a-bration time, which means that with every $60 you spend, you get to choose 1 FREE ITEM from the Sale-a-bration brochure – like this gorgeous Irresistibly Yours DSP! Remember, the items in the SAB brochure can’t be purchased, and you won’t see them in the next catalogue – so you have to get them now; or at least before March 31st, which is when this super deal ends! All products used in creating this card are pictured below; if you’d like to order them, simply click on the picture(s), and you’ll be taken directly to my online store. Or, you can give me a call or email, and I’ll place your order on your behalf. Next Next post: Thank You – I was a Top 3 Pick! Hi Deb, who needs a Valentine stamp set when you can put together a bunch of sets and make a card like yours? Wow! Very nicely done, especially with that wonderful Irresistibly Yours DSP as your background. I love the colours and the doubling up of your “YOU”. Great work, but I’d expect nothing less from you. Thanks so much for being the very first person to post on those new Linkies of ours. Thanks for your nice comment, Heidi! I enjoyed doing this challenge, and I’m looking forward to doing more of the Watercooler challenges! The new linky worked great 🙂 Thanks very much for coordinating them. Deb, your card lives up to my expectations! 😉 I love using stamps for more than the obvious. 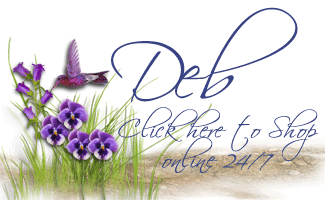 I’m crazy about your card Deb! What a great combination of DSP, colur and design elements. I absolutely love how you added the sentiment and the “you”. Great card. Happy Valentine’s to you. So cute, Deborah, and very clever. Love it! Deb you are so clever. I sure hope that DSP makes into the annual. I love how you coloured it – fabulous! Great Card Deb….Appreciate your work!